Aletta E. Marty’s Creative Young Canada: Collection of Verse, Drawings and Musical Compositions by Young Canadians from Seven to Twenty Years of Age—(foreward by “Agnes Delamoure” (Nancy Durham), Toronto: Dent, 1928. )—is comprised of both poetry and illustrations by Canada’s young talent. 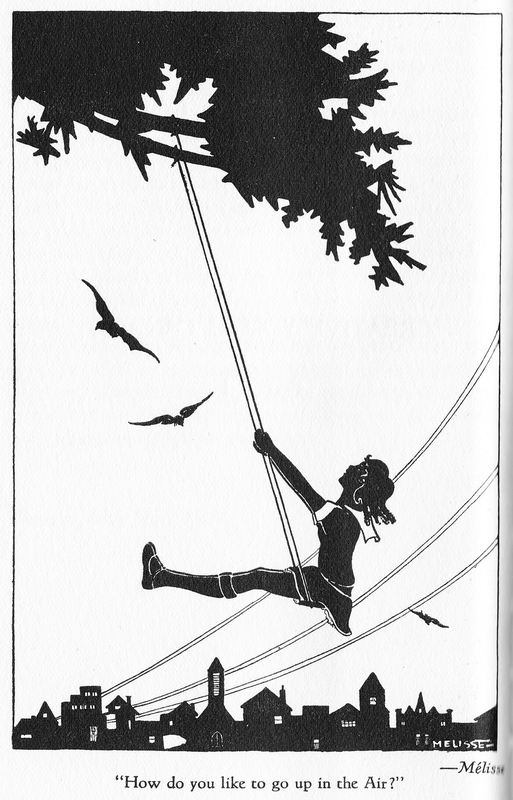 Here is an illustration by “Mélisse” (Melissa Chalmers Barrowman) that reminds me of my own childhood swinging in the spring sunshine. I wonder if she ever got as high as the cross-bar?